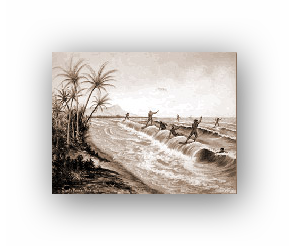 The first surfing references were found in Polynesia. Cave painting from the 12th Century show people riding on waves. 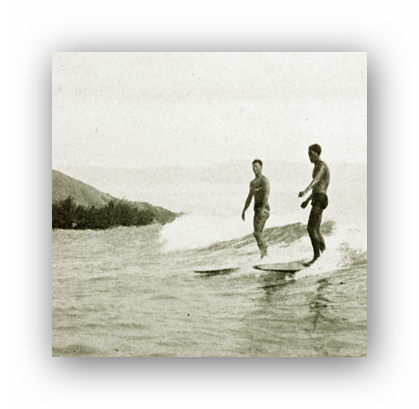 In the course of seafarings, Polynesians brought surfing to Hawaii and the sport went viral. Surfing in Hawaii wasn’t only a sport but also an important part of the religion. The tree choice was vital and religious rituals were practiced during the surf board shaping. The ceremonies served as protection and to secure the gods’ goodwill. Everybody surfed – men, women, children, kings – but there was a strict rule system that regulated who could surf on which spot. The first written heritage about the history of surfing was found in James Cook‘s diary, the European captain who not only discovered new lands but also surfing. The colonization of Hawaii began shortly after that by means of Christian missionaries. The approach of life has been remarkable beforehand but after the settlement it changed a lot. The Hawaiians had to wear clothes and to visit the church frequently and the kids had to go to school. Surfing lost its strong influence in this time but never vanished completely. More famous discoverers like Mark Twain or Jack London – both considerable travel book authors – reported on the sport in the waves and aroused high interest in the population. The history of surfing carried on and more and more tourists had a try at the new sport. 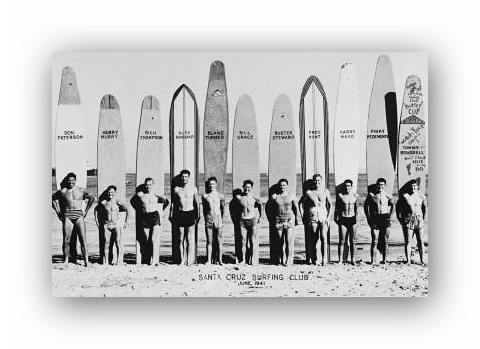 Over time, the first surf clubs came up and the beach boys became lifeguards to secure the beaches. The most famous Surfer was Duke Kahanamoku who was born in 1890. ‘The Duke’ was a talented swimmer and obviously one of the best surfers on the Hawaiian Islands. In 1912, he competed in the Olympic Games in Stockholm and won the 100-meter freestyle contest, not least because of the crawl technique that he copied from surfing. After his success, he traveled around the world and introduced surfing in all regions where the conditions made it possible e.g. in Australia or California. When Hawaii joined the USA as the 51st state, tourism on the islands boomed as never before. Not only surfing itself, also the tools changed a lot as time goes by. Adhesives which were developed in World War II found a completely new purpose. Joe Quigg invented the round nose and laminated fins that are covered with fiberglass. These innovations made unbelievable manoeuvres possible. In the early 50s Jack O’Neill invented the first wetsuit which protected the surfers from the cold Californian water. The big surf boom happened one decade later. Because of the wetsuit and the smaller boards that provided for radical turns, surfing became a mass sport. 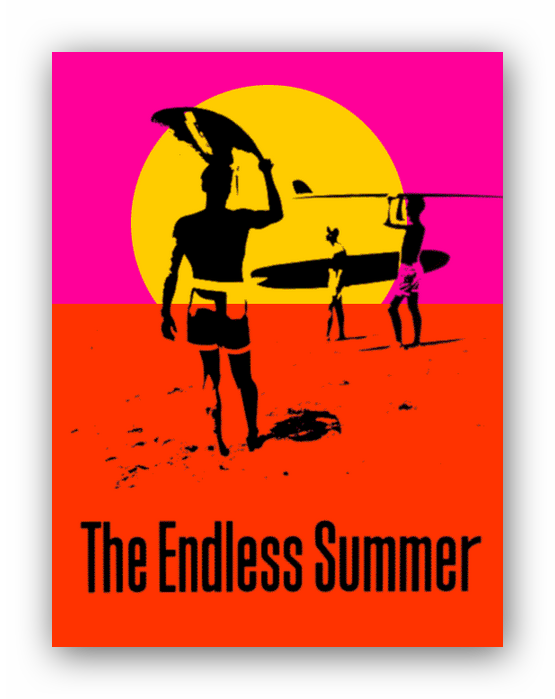 Also Hollywood movies like ‘Gidget’ and ‘Endless Summer’ that showed surfing and its lifestyle made the sport bigger and bigger. In the 70s, the Australian Simon Anderson invented today’s 3-fin-system on the shortboard. This was the last eminent step which led to the shortboard as we know it today.